We produce experiential and engaging content, spanning a spectrum of topics and issue areas impacting our oceans. We are always looking for new partners and challenges to address! 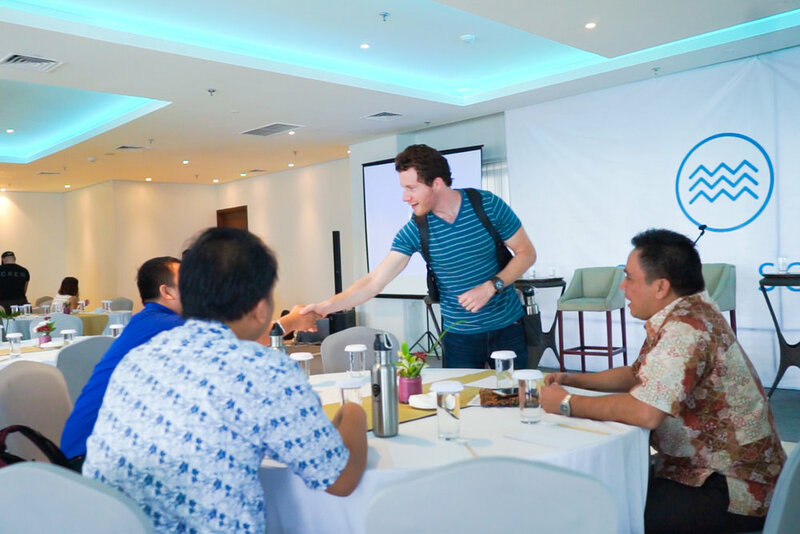 OceanSOS Summits offer a time and place to connect technologies (OpenROV, SafetyNet, BioRock, OCeaN Coin, Key Conservation, and many more) with local leaders and the global ocean issues we all face. The Summit is designed to engage new locations annually, supporting different emerging markets' challenges, while serving as a uniting umbrella for other Ocean Initiatives such as the Sustainable Oceans Alliance. In order to create sustained infrastructure following each event, we leverage partner organization efforts to create local ocean chapters that will live in a digital network, facilitating outreach and providing networking opportunities. 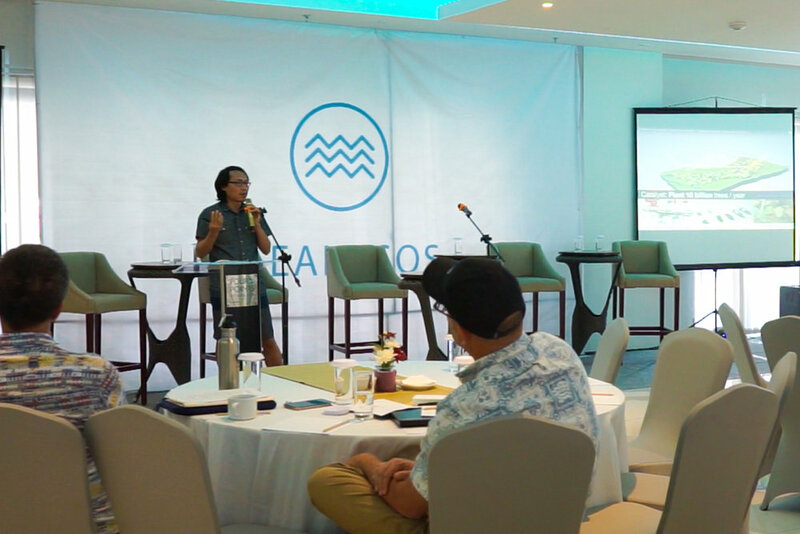 We designed OceanSOS in Manado, Indonesia to initialize these elements through hackathons, local academic participation, public sector contributions, a local ocean chapter, and family business offices. Due to the impact of tourism and degrading coastlines and terrestrial environments, all of these stakeholders had expressed a shared desire for regenerative economic development that ensures environmental preservation for basic future livelihoods. This circumstance creates a unique opportunity for private sector tech to help reduce environmental pressure and ensure responsible job creation. We host satellite events focusing on local ocean issues and solutions. For example, we held an OceanSOS satellite event in San Francisco on April 2018 with our partner Schmidt Marine Technology Partners centering on restorative ocean economies, vertical ocean farming, blended funding models, and hackathons for prototyping. The event featured different entities in these spaces including LIFT Economy, Salt Point Seaweed, Greenwave, and Hackaday. We also held another satellite, OceanSOS Miami, that focused on the near-term implications for sea level rise, mangrove habitat restoration, and coastal real estate and featured government officials and personnel from the University of Miami, Schmidt Marine Technology Partners, and Shorelock. We also curate ocean content for other events that are interested in integrating an ocean component into their programming. We have several exciting forthcoming collaborations slotted for later in 2018 and 2019 that we cannot yet disclose. If you are interested in hosting an ocean-focused event or integrating ocean components into an existing event, please contact us below!